Shopping for a Nespresso machine but not sure how to choose? Our guide explains how to find the perfect model for you, whatever your budget. Nespresso machines all use one of two Nespresso coffee capsule types - Original or Vertuo - but that doesn't necessarily mean they all make coffee to the same standard. We explain the differences between budget models and premium alternatives and how to choose the right one for you. It's not just the quality of the coffee you need to think about, when choosing a Nespresso machine, though we have found variation between models in our tests. Some Nespresso machines come with built-in milk frothers or milk frothing accessories to make cappuccinos, while others just brew a super-fast espresso to ensure you're not left hanging around for your caffeine fix. The newer Vertuo system machines use a different capsule system altogether, and cater for those who like a longer coffee, but which is your best bet? What does the Nespresso range have to offer? Should you buy a Nespresso Original or Vertuo machine? Are cheap Nespresso machines any good? 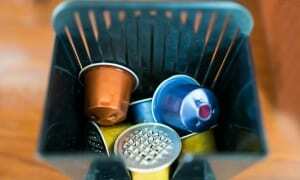 Which Nespresso machines are best for making cappuccinos? Which is the best Nespresso for you? Head over to our Nespresso coffee machine reviews and Nespresso Vertuo reviews to see how they score in our independent coffee machine tests. If you're not yet a member, join Which? to get instant access. There are plenty of options to suite every taste and budget in the Nespresso range, from the cheap entry-level Nespresso Inissia (around £50), all the way up to the premium Nespresso Creatista Plus (£400). More expensive Nespresso models tend to come with extra features such as a larger water tank and capsule bin capacity, more drink size options, memory programming of your favourite coffee, and milk frothing. Some are also finished in premium materials such as die-cast aluminium for a luxury look. These models will usually stick to the basics, offering one or two drink size options (usually espresso or lungo) and no milk frothing. 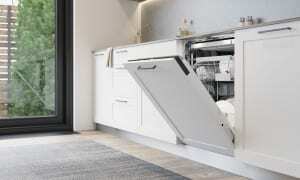 They're likely to be relatively compact with a small-ish capsule bin and water tank. If you just want a quick espresso, they should be more than enough. If you pay a bit more, you'll get an automatic milk frother for making cappuccinos, lattes and more, and a bit more in the way of capacity and choice. Extras may include more drink options, the ability to store your preferences, or even Bluetooth so you can control the machine from your phone or tablet. Top-end Nespresso models, like those from Dualit, Sage and Magimix, make a real style statement in your kitchen and offer more control over your coffee. 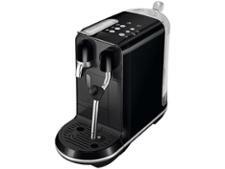 The Sage Nespresso Creatista, for example, has 11 milk frothing options to choose from, an automatic steam wand, metal frothing jug, and colour display screen. The Nespresso Expert offers multiple temperature settings and an extra drink size - Americano. See all our Nespresso machine reviews to filter models by price and find the right fit for you. In 2017, Nespresso launched an entirely new capsule system, Vertuo. This system uses centrifugal force - spinning the capsules at high speed - to extract your brew. 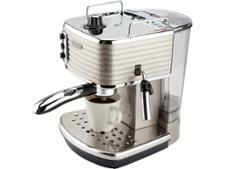 It's designed to make a wider range of coffees, particularly longer drinks, for those who aren't pure espresso fans. There are three pod sizes to choose from, and a handful of different machines available, starting from around £180. You can't use original Nespresso capsules in these machines, only Vertuo pods will fit. We've tested the new Vertuo range: get our verdict on the new coffee system and compare all three Vertuo machines side-by-side with our Nespresso Vertuo coffee machine reviews. As with all capsule coffee machines, it's worth considering the ongoing cost of buying Nespresso pods, which are more expensive per cup than using ground coffee. One advantage of Nespresso machines is that there is a healthy market in third-party compatible pods, partly because you can't buy original Nespresso pods in supermarkets. Compatible pods don't work with all machines, but most of the basic range should be fine. For more info, and our favourite compatible capsules, see our guide to Nespresso compatible capsules. Nespresso subscriptions - are they worth it? Nespresso introduced a new subscription service in 2017, probably as a fight back against the increased popularity of compatible capsules. The idea is you sign up to monthly capsule payments, and in return you get a specific Nespresso machine for £1. There are three annual plans to choose from - £18, £25 or £45. 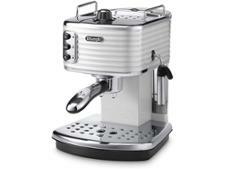 The cheapest gets you the Nespresso Essenza Mini coffee machine, which retails for around £90. Meanwhile, £25 a month gets you the Nespresso Essenza Mini plus Aeroccino milk frother. The final package means spending £45 in exchange for the Nespresso Latissima Touch. If you know you'll be getting through plenty of pods, it could be a good way to get a Nespresso for less. See our story on the Nespresso subscription service for more details. You don't need to spend a fortune to get a decent Nespresso machine, but some extract flavour from the capsules better than others. We've found some good value models that make it into our Best Buy list, but others were less impressive - check our list of the best coffee machines to get the lowdown on the good ones. What you'll miss if you opt for a cheaper model is the fancy extras - milk frothing accessories and personalisation or smart control. 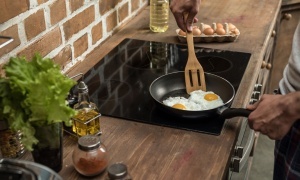 But one bonus of the cheaper models is they are usually very compact, and will easily squeeze onto the most crowded of kitchen worktops. The Nespresso Pixie is very popular and takes up little space on the worktop. Nespresso machines use real milk to make cappuccinos, unlike cheaper rivals Tassimo and Dolce Gusto, which use milk capsules. You can find out more about the differences in our guide to Nespresso, Tassimo and Dolce Gusto machines compared. You can buy most Nespresso machines in the range either as a standalone product or bundled with a Nespresso Aeroccino milk frother. This usually adds around £40 to the price, and you can also buy the Aeroccino separately for £50. Nespresso's premium Latissima models have a built-in milk frother which creates cappuccinos at the touch of a button, and the Nespresso Creatista has a fully automated steam wand that can make milk froth to 11 different textures, if you're fanatical about your froth being perfect whether you're having a flat white or a cappuccino. We test every model with the Aeroccino frother, and give it a separate score if you just want to buy it for espresso, and if you plan to make cappuccinos. That way you can choose the machine that is best suited to your needs. You can use the milk frothing filter on our coffee machine reviews to see all the models which have a milk frother. 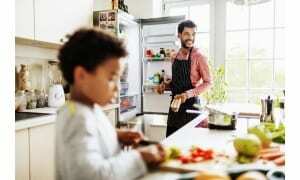 Now you know what your options are, think about what kind of coffee you want to make at home. If you just like a swift espresso shot in the mornings - save yourself some cash and look for a model that doesn't have a milk-frothing feature. If you want to make longer coffees - choose a model with a 'Lungo' option, or one which lets you control the volume of water per cup. It's worth considering the Nespresso Vertuo range, which is designed for larger mugfuls. If you're into frothy, milky coffees - choose between models with milk-frothing accessories, depending on whether you want more or less input into the frothing process. Looking for more on Nespresso? Try our guide to the Top 10 most googled Nespresso questions.